The technology has brought us so many advancements in the term of economy, and it has already opened up countless windows, and one of them is the form of currency. Up to now, we recognized numerous forms of fiat currencies such as dollars, euro and etc. but since the dawn of the cryptocurrency, we know and increasingly familiar with the token of the cryptocurrency. One of the most used and discussed tokens is the bitcoin and ethereum since they are one of the leading tokens that had ever emerged and shape the world of cryptocurrency. Now, there are a lot of platforms that have their own token, and each token has their own value so that their transaction is a bit complex thus hindering the further growth of the cryptocurrency. The emergence of numerous platform in the terms of cryptocurrency is very healthy for the economy since they are disrupting the conventional and old style of business and thus making it an obsolete and replaced with a newer and fresher crypto platform. Many kinds of business have their own way of disrupting the old and conventional form of business, and thus creating more and more diverse forms of business. But as we can see today, the growth of the crypto-based business is coming to a halt since they are facing a serious issue, which is the practicability of the token. there are many forms of token that are issued by the platforms, but unfortunately, almost none of them are able to be used outside the system of the platform, meaning that the currency is failed to fulfill their very essence, which is to become a tool of exchange. So the question may arise, is the token are worth to become a new form of money since they have no practical use? The answer might be tricky since the token is already fulfilled the other condition to be called as a money. here are several features that are already owned by the token that is similar to the fiat currencies. A money needs to be portable, and therefore it can be brought everywhere and can be exchanged anytime. A token has already fulfilled that condition too since it is located in the wallet that is connected to the ethereal ecosystem. Even the token is not coming in the physical forms such the fiat currencies, but rather digital currencies which are even easier to carry. There is a wallet to store the token that is owned by every person that is integrated with the ecosystem of a particular token platform, and that too is portable and easy to carry. A money can’t be destroyed so easily since it is a very important thing a man can have, and therefore the money needs to be made by a durable material such special paper, silver and so forth. The cryptocurrency is also very durable since they are not coming in physical forms, but rather digital forms. The security of the platform is also sophisticated and almost impossible to be a breach, making it very secure. the smart contract and the ledger are also used to track any kind of token transaction all across the globe so that the system knows how many tokens that is owned by a particular man and so forth. One of the most important features a money must have is the value, otherwise, it is just a useless piece of paper. The token also has their own value and unlike the fiat currencies, they are practically immune to inflation. Inflation happens due to several factors, and one of them is the excessive money printing that a nation does. The token is simply different with the other forms of money since it will not print out or be made again once the token generation event is concluded. Any excessive or un-purchased token will be destroyed automatically by the system. Counterfeiting or faking the money is a very serious threat to the monetary system since it will damage the whole monetary infrastructure in the long term. There are many countries which are vowed to end the counterfeiting by establishing special ops across the country and the world. But that is simply not the case for the cryptocurrency. As we already see that the system and the protection that protects the servers and the wallet are heavy and making it impossible to counterfeit the token as a whole. It is safe to say that the digital money such as the token is the safest form of currencies ever made by a human. But no matter how great a token is, it will be a worthless data if such coin is unable to be used in every day to day transaction. Therefore the world of cryptocurrency since stagnates due to the lack of use by the people outside the system. At least that is the case before the emergence of fuzex. For further information, you can access the website below. The impending issue of the token is the usability, and every platform is desperate tries to solve that issue but unfortunately, that issue still lingers around us. But there is one emerging platform that will ultimately solve the issue, which is called fuzex. 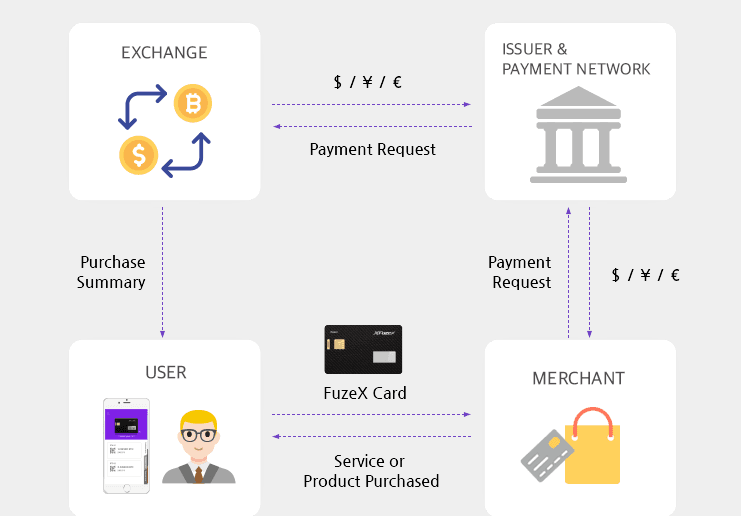 Fuzex is a platform that tries to bridge the platform which issues a token, and the vendor or the merchant that is usually visited by the people. What this platform aim is to make the vendors and the merchant accept the token and therefore the token can be used outside the system too, not just in the form of investment. 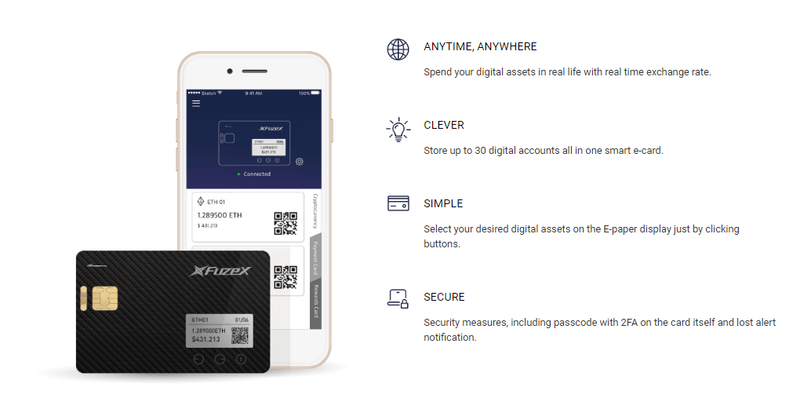 The fuzex is issuing the smart card which can be used as the token center so that the token of yours can be tracked and stored safely and thus used for every day’s transaction. As we already know there are so many types of token that are circulating in the world of cryptocurrency, such as the bitcoin, ethereal, and so forth. Those token has their own value and therefore can be used as the forms of transaction. The smart card or the card that will be handed once you’ve been integrated to the system will be able to store up to 30 forms of the token and therefore it is very convenient if you have so many tokens in various platforms. The easier a platform, the more practical it will be. The procedures of using this platform are so easy and simple and making it very practical for every people to use it. There are several apps that will help you to navigate in the platform, which is the mobile wallet app that can be downloaded conveniently in every mobile platform be it apple or android. Through that app, you can see the number of tokens that can be used by the user and the worth of each token to the fiat currencies which is dollars. The smart card will utilize the battery since they have a small led screen to project the chosen token and how much the token is. The battery is very slim and therefore very simple and easy to be stored safely inside the wallet. The batter also will last around 45 to 60 days so that once you have fully charged the battery, you don’t have to recharge it in a very long time. It is very important to watch your batteries though as if it exhausted, the screen won’t appear and you can’t use the smart card to perform any transaction anymore. The fuzex cards or the smart card need to be synchronized with the wallet so that the card will know and remember what kind of token that you have, and how many of them are in your wallet. The wallet and the card will have their own connection which is the Bluetooth connection to synchronize one after another almost instantaneously. It is very easy to do either since all you have to do is just turn on your Bluetooth and connect it to your smart card. The smart card will synchronize almost instantly and ready to be used afterward. It is very common that someone lost their ATM card or credit card which can be very annoying. Fortunately, the devices support the device tracking to the card so that you can see the card when you last time use it. The tracking device is also followed up by the interactive map so that it will be easier for the people to track their card. However, it is impossible to use the card when they don’t have the fuzex wallet since the card and fuzex wallet need to be verified both ways in order for the card to be working. For further information concerning the card features, you can check the link bellows. Just like another platform that issued their own token, this platform also issues the token of their own which is called by the fuzex token or FXT. The main usage of the token is to upgrade your account so that it reaches the full potential of a card. There is a major limitation if you have fully upgrade your account, such as the limitation to performs a transaction, and you have to pay higher for membership fee per month. The membership fee is aimed for the maintenance of the servers to protect the data and secure the token for each of the members, just like the bank withdrawal occurred monthly. The token sale is also very typical since the platform has the three types of typically used token sale, which are the private sale, the pre-sale, and the main sale. The private sale has reached the soft cap around 20 thousand ETH very swiftly. after reaching the soft cap for in the private sale, the pre-sale is conducted on January 15th to February 15th or a month full period. the hard cap for the pre-sale is 20 thousand ETH and in fact, that is the cap for the wholesale. The public sale is due to the goals already reached in the pre-sale and therefore the public sale is no longer necessary. As for the worth of the token, one ETH token is worth around 12 thousand FXT, and in order to purchase the smart card, one needs to purchase the FXT equivalent to 5 ETH. That is one of the main features in the fuzzex, therefore, they need to make a purchase for a minimal 5 ETH. But considering that the token is already sold out even the public sale has not started yet, the popularity of this platform is skyrocketing and cannot be underestimated. This is perhaps due to their unique usage and their smart card to ease the transaction of the card holder. As for the token allocation, here is the information concerning the token allocation. The main allocation besides the sale is the technology acquisition since the platform heavily relies on the technological advancement to ease and simplify even more to make the platform even more widespread to many merchants and vendors. As the team foresees, the usage of the platform will heavily rely on the coverage of the merchants and the vendors so that more vendors are required to be integrated to the platforms and therefore making the cryptocurrency are able to be used in any forms of transaction. The cryptocurrency is indeed a very bright idea and therefore the usage of the token need to be spread out so that more and more merchants using it and gives a good alternative for the world economy. For further information concerning the token sale, you can reach one of the sites below.